Job boards, also known as job search engines, collect job listings from various sources and organize them in an easy-to-use database for people seeking employment. Job board software is multifaceted. It serves job seekers, employers looking to fill open positions, and companies that either want to publish open positions to their websites or create their own job board. Job seekers can search job databases with a variety of filters, including location, position keywords, and salary. After finding a desirable listing, job seekers can click to read more information and find links for forwarding resumes, portfolios, or additional questions. A number of job board websites allow job seekers to upload their resumes so they can easily apply for positions through the online platform. Meanwhile, employers can manually post jobs, or use recruiting automation software to automate the process, and track the activity on their listings. Some job boards allow employers to search through resumes and contact prospective employees without being contacted first. Job board software also provides companies with tools to commodify the job search engine market by creating their own job boards. Job Boards reviews by real, verified users. Find unbiased ratings on user satisfaction, features, and price based on the most reviews available anywhere. LinkedIn Job Search is a tool that allow user to quickly find job opportunities with location-based search and get automatic recommendations and notifications based on job searches. 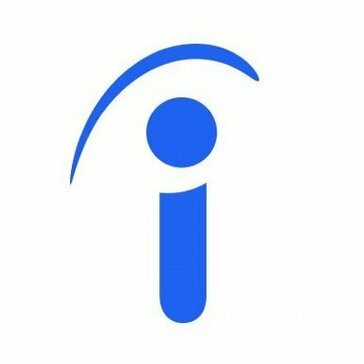 Indeed is a worldwide employment-related search engine for job listings the provides service inclding job search, job trends, resume upload, storage and search, industry trends, salary search, job competition index, and website forums. 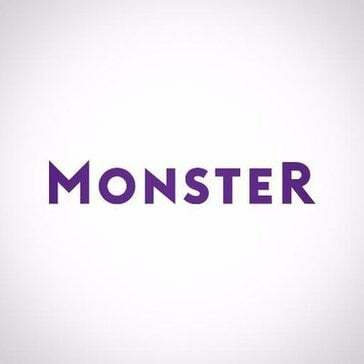 Monster is an employment website that is used to help those seeking work to find job openings, for lower to mid-level employment, that match their skills and location. 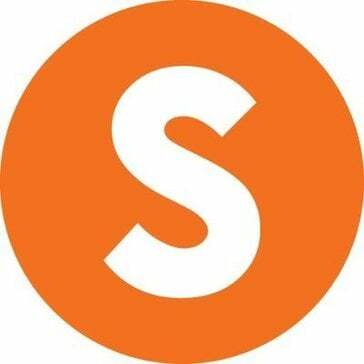 Snagajob is a platform that provides workforce management solutions for hourly employees and it provide services for individuals seeking positions and businesses seeking workers. Employers, recruiters and staffing agencies post jobs free to 50+ job boards with 1 click. Active resume database. Free employment postings. Glassdoor is a jobs and recruiting site that help user to find the job and company they like and it allow employees and former employees to anonymously review companies and their management. Idealist is a platform that help people find jobs, internships and volunteer opportunities with nonprofit organizations. Our advanced personalization technology connects over 30 million unique job seekers with millions of jobs each month. AngelList allows to build a diverse portfolio of early-stage startup investments Private and oversubscribed deals. Talent Zoo is the best resource on the web for jobs and industry updates in advertising, new media, marketing, and technology. USAJOBS is a platform tat connects job seekers with federal employment opportunities, it provides resources to help the right people find the right jobs. Hubstaff Talent is a 100% free marketplace for companies looking to find the world's best remote talent. Internship is a platform that allow employers to post internship jobs, manage their intern job listings, and communicate with interns, stdents can serach for paid internship and part time job. Blocket is a Swedish job board. Pipeline allows technology companies to find, connect and hire digital sales talent. We are actively indexing thousands of sales professionals with a proven technology sales background for you to search, score and contact for the perfect hire. 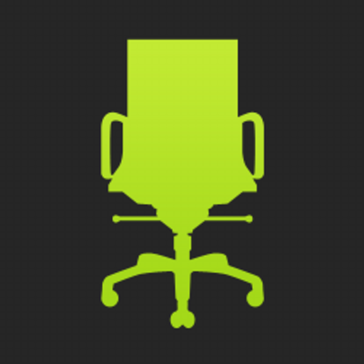 FlexJobs is a job search site specializing in remote, part-time, freelance, and flexible jobs. inbound.org is an inbound marketing online community. Jabord is a merge of job board, resume builder and recruiting tools on one platform. Jobs2Careers is a job search aggregator that innovates the way talent effectively finds work ut provides job seekers with free access from desktop or mobile device to easily discover everything from small jobs to big careers. Juju is a job search engine that provides quick access to jobs found on thousands of employer websites and job boards all around the web and offers features that will help user find the jobs their looking for more efficiently. Vettery is the trusted hiring marketplace that connects top talent with growing companies. Find paid internships, part-time jobs and entry-level opportunities at thousands of startups and Fortune 500s. AuthenticJobs is a job board for freelancers. The Meaning of (Our) Life At College Recruiter, we believe that every student and recent grad deserves a great career. We believe in creating a great candidate and recruiter experience. Our interactive media solutions connect students and grads to great careers. The Boring Stuff College Recruiter is the leading, interactive, recruitment media company used by college students and recent graduates to find great careers. Our clients are primarily colleges, universities, and employers who want to recruit dozens, hundreds, or thousands of students and recent graduates per year. Other Than You, What We Value Honesty and integrity Enthusiastic, passionate, tenacious, and fun Passionate about the customer experience Critical thinking and problem solving Embrace teamwork and collaboration Strive for continuous improvement Our Sordid Past Founded in 1991 as a publisher of campus maps and employment magazines, our mission has always been to connect great organizations with students and recent graduates. Our niche job board went live way back in 1996, which was a year after Yahoo! launched, two years before Google went live, and eight years before the birth of Facebook. Credo helps businesses find and hire the right digital marketing provider within their budget, business type, and marketing channels needed. Fullstackjob.com is a free service for Fullstack Developers looking for an interesting job as a Full-Stack Developer or Software Engineer. Companies can post they job positions for Full-Stack Programmers for free. Career management portal, exclusively for mid and senior management professionals. HigherMe uses data and video to help retail and service employers find the best employee. interviewing.io is a channel for hiring software engineers. JobServe offer a range of products that are all carefully thought out to ensure employers can attract candidates to their jobs. JobsInLogistics.com is the online recruiting industry, specializing in the logistics, supply chain, transportation, distribution, warehousing, freight brokerage, manufacturing, freight forwarding, purchasing and 3PL professions. An online platform that allows genuine employee opinions to live out loud, pushes the boundaries of employment conversations and creates an open and candid community between employers and employees. Our matching algorithm suggests our available jobs based upon your experiences, interests, and interactions on our platform. Provides a range of SaaS technology and support services, enabling our clients to operate an outstanding job board platform. Search For Media Jobs From Top Companies. neuvoo is a job search engine available in over 60 countries listing more than 30 million jobs worldwide. World's marketplace for finding rock star Filipino workers. randrr is a career insights platform designed to help users find the right jobs, get insights about their salary and their position in the job market, and design their own career path. TechCareers.com is your premier destination for career advancement, networking and more. Vocate is a tech-powered marketplace for student internships and entry-level jobs. 4Scotty is a job marketplace for IT professionals. 50skills is a referral recruiting system enabling organizations to incentivize employees for referrals and hire better. Job boards primarily provide companies with advertising and publicity for open positions they are looking to fill. Depending on a business’ interests and needs, including whether they are seeking qualified candidates for open positions, looking to implement job board content onto their site, looking to build a job board business, or seeking work as a prospective employee—job boards mean different things to different people and organizations. Job board software provides a variety of solutions depending on the user’s role. Companies looking to hire use job boards as a central database in which to post open positions and access candidate resumes. Businesses looking to tap into the job board market employ these solutions to manage, maintain, and grow their job board businesses. Meanwhile, job seekers use online job sites as a clear entryway to the job application process. Companies with open job positions – Job board software connects employers to potential employees by providing easy-to-use databases in which to post job openings. Employers can post job openings and track all activity on their listings. Some job boards also allow employers to search through resumes and contact prospective employees that are registered on the platform. Companies looking to build a job board – From multibillion corporations to niche job board startups, many companies need the right tools to build job boards. Some businesses use white-label job board software to publish and monetize job boards on their websites, while others employ these solutions to develop new job boards. These solutions enable companies to develop engaging content that provides job seekers with easy-to-use search options, and recruiters and other HR personnel with talent pipeline development. They can also provide automated job board advertising, user analytics, and so on. Job Seekers – Job boards provide candidates looking for a new career with a variety of search options that include filters for location, position keywords, and salary, to name a few. After finding a desirable listing, job seekers can click to read more information and find links for forwarding resumes, portfolios, or additional questions. A number of job board websites allow job seekers to upload their resumes or integrate their LinkedIn profiles so they can easily apply for all open positions, from entry-level jobs through the C suite. General vs. niche – Some job boards provide platforms to host general, or traditional, job openings, while others highlight specialized industries with a narrowly defined platform for more niche positions. Some specialized job boards might include tech, finance, banking, television, radio, advertising, and nonprofit organizations. To identify the most qualified candidates for the opening, companies should focus on posting open positions to pertinent job boards, whether they be general or industry-specific. Keep in mind that many companies post on multiple job boards, and job seekers will likewise often spread their search across different sites. If businesses value the offerings of more than one job board and feel that each can offer different benefits, they should consider the possibility of signing up with as many as they find useful. White label job boards – For companies looking to join the job board industry, or publish job boards on their website, white-label job board software provides a wide array of job board tools. These solutions often include design tools, job seeker interfaces, social media integrations, SEO tools, job board integrations and networks, recruiter and employer interfaces, back office solutions, and more. And for those looking to enter the industry with limited overhead, there are free job boards as well. These solutions tend to monetize features such as website hosting, product support, and installation. Job board vs. job search engine – Other platforms offer a similar service by providing a database of job openings, but these solutions are not for companies to post job openings. Instead, job search engines scour the internet looking for job listings that have already been posted to other job boards and compile them into an easy-to-digest list. Some of these companies do both—provide job board solutions to companies, as well as aggregate job listings from other sites. HR personnel should consider whether the solution scrapes job opportunities from the web or only allows listings that are individually uploaded. Common features – Job board solutions that focus on providing companies with job posting features offer a variety of options. These may include company profile design tools, customizable templates, resume search capabilities, employer dashboards, payment gateways, recurring subscriptions, SEO and marketing tools, and integrations with platforms such as Google Job Search and job aggregators. Industries served – Search functions on generalized job boards allow users to filter results based on keywords, industries, and job duties. Some job boards have taken it a step further by specializing in individual industries or a select cluster of industries, only accepting specialized postings. While some of the bigger-name job boards take a more generalized approach, businesses may benefit from a specialized job board (depending on their particular industry or the type of candidates they are seeking). Some examples of industries featured in specialized job boards include health care, IT and tech, hospitality, and environmental, while others might focus on women, veterans, or increased diversity. Location – Unless businesses are looking for freelancers or remote employees, location is key. Businesses are typically required to list the office location for each available position, and applicants must submit their current address when applying. Unless the employer and candidate are willing to discuss a relocation, the candidate’s proximity to the job will be among the first make-or-break details. Regional popularity – Some job boards only list positions in a particular area. Others, while technically allowing postings from anywhere, may be weighted heavily toward a specific region based on the companies they feature and the job seekers using the site. Businesses can potentially get an idea of this by searching for their city and noting the number of results. Web- vs. client-server hosted – Job board software can be purchased as a standalone software license to be hosted on-site through client servers, or may operate as a cloud-based SaaS solution. Job ad distribution – With distribution, employers are able to post across a network of multiple job board sites including job board platforms, job aggregator sites, job search engines, and social networks. Big data – Some job board solutions collect and analyze data to provide insights into job ad and job board performance. Recruitment agencies — Some companies hire recruiters to identify qualified candidates for open positions. They have a wide array of tools at their disposal to suss out top candidates, including job board and staffing software. Recruiting automation software — These solutions help recruiters and HR departments automate aspects of the hiring lifecycle. These solutions often provide automated job postings to a variety of job boards. Applicant tracking system (ATS) software — These tools streamline the recruiting process by managing all applicant information. ATSs can post jobs to job boards and collect and screen all candidates. Hi there! Can I help you find the best Job Boards solutions?